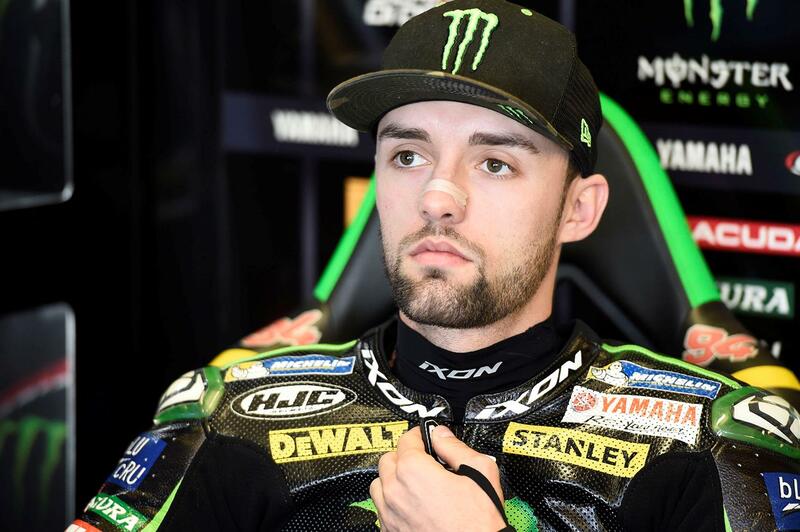 Monster Yamaha Tech 3 rider Jonas Folger has been ruled out of this weekend’s Japanese Grand Prix at Motegi and potentially even the remainder of the 2017 MotoGP season after being struck down by illness, believing that he’s suffering from a recurrence of mononucleosis. He has suffered previously from the disease, caused by the Epstein–Barr virus and a frequent plague of athletes by leaving them without any energy to train or compete, and despite travelling to Motegi was forced to return home to his native Germany today ahead of tomorrow’s opening practice session. "I came to Japan and was motivated for these three flyaway races, but I’ve been feeling really weak since the Misano and Aragon rounds. On arrival here, I have been struggling with my energy levels, even leaving the hotel room was impossible for me, and unfortunately, I had to miss some Yamaha events, which I’m very sorry for. I met with Herve on Wednesday night and we agreed to go for a check with the doctors this morning. I met with Dr Charte and the Clinica Mobile team and they have advised me to return to Germany right away for a series of blood tests. “I’ve had Epstein Barr virus in the past and it’s a possibility that this has flared up again and resurfaced, but we can’t be sure until I’ve had these tests in Munich. I’m really sorry for my whole team and Yamaha at their home race and would like to thank them for all their support. Also sorry to my personal sponsors, I appreciate them all standing by me at this difficult time. Now we must remain positive and aim to come back stronger." He’ll be replaced for this weekend by 21-year-old factory test rider Kohta Nozane, with team boss Herve Poncharal saying the local racer will be the perfect replacement thanks to his experience with the bike, despite being thrown in at the deep end. “After the very sad and disappointing news that Jonas Folger can not take part in the Japanese Grand Prix, I am pleased to say that the #94 side of the garage will be racing this weekend. We are proud to announce that Kohta Nozane will compete for us here. He is a really important rider for Yamaha Motor Company and has raced in many different championships, including the World Endurance Championship. When we knew that Jonas was going to have to withdraw from this GP, we talked with Yamaha and it made perfect sense to choose Nozane. He knows Motegi quite well and I think he won a race here this year in the Japanese Superbike Championship. “He tested the M1 in January, which will clearly be a big help for him to show what he can do. We don’t expect too much because this is one shot and he doesn’t have MotoGP experience. However, one thing that will be interesting is his mentor, Nakasuga, who is a wildcard on another YZR-M1 and I’m sure they will be happy to compete against each other. We are pleased to have found the possibility for two riders to race for Tech3 this weekend. MotoGP: Folger to become Yamaha test rider?